The ceiling panel have 45 degree bevel edges which makes the ceiling looks more 3-dimensional. The panel is hooked on the Z-shape runners (HO-101) tightly to hide the suspension parts in the ceiling. Installation of the Security clip (HO-103) can increase ability of windproofing of the system. 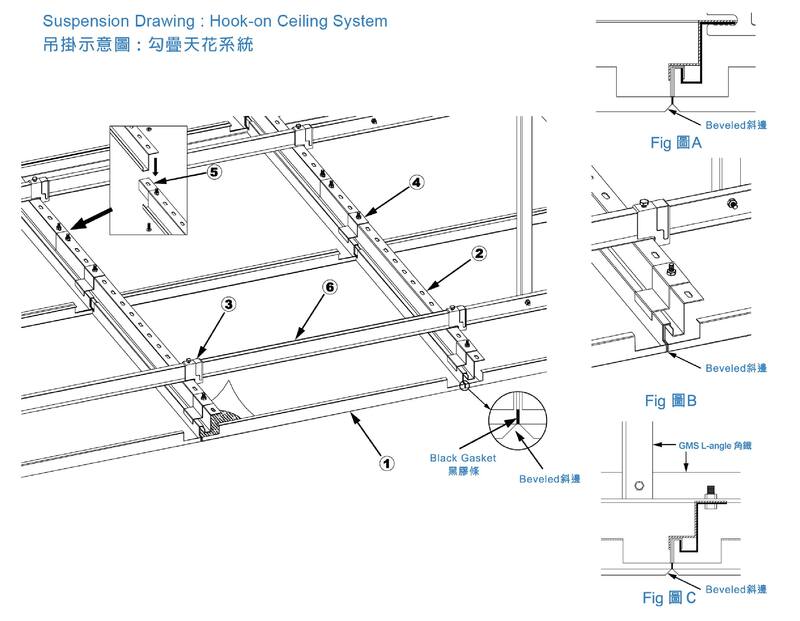 The problem of inspection and maintenance like air-conditioning, electrical, fire prevention system can be solved by installing ceiling hatch. Security requirements can be met by using lockers as switches. Ceiling suspended by Z-shape runner (HO-101) with Z-runner clamp (HO-102).